• Rachel Flynn highlights learnings from two approaches to donor-led innovation: Scaling Solutions and BUILD. • How can funders best learn from the work of these organizations and others like them? • Learn about making big bets in philanthropy. In recognition of the complexity and interconnectedness of so many of the world’s most pressing challenges, institutional funders have been thinking deeply—and collaboratively—about how to create more transformational impact. Scaling Solutions, an initiative that encourages funders to work collaboratively to make longer-term, more adaptive and more flexible resources available to their grantees in order to support scalable systems-level change, is now in its third year. Representing this collaborative effort, Rockefeller Philanthropy Advisors’ Heather Grady shared recommendation and findings from the initiative’s first report. The Ford Foundation’s BUILD (Building Institutions and Networks) initiative, represented during the webinar by its director, Kathy Reich, is another example of a strategic and adaptive new donor model. The five-year, $1 billion investment by the Ford Foundation provides general operating support to its 300 grantee organizations alongside support for assessment and institutional strengthening, peer learning opportunities and rigorous evaluations. Read the full article about donor-led innovation by Rachel Flynn at Skoll Foundation. Interested in learning more about Collective Impact? Other readers at Giving Compass found the following articles helpful for impact giving related to Collective Impact. Giving Compass' Take: • Stanford Social Innovation Review takes a look at how start-ups in the philanthropy space can scale and the best ways to reframe government adoption. 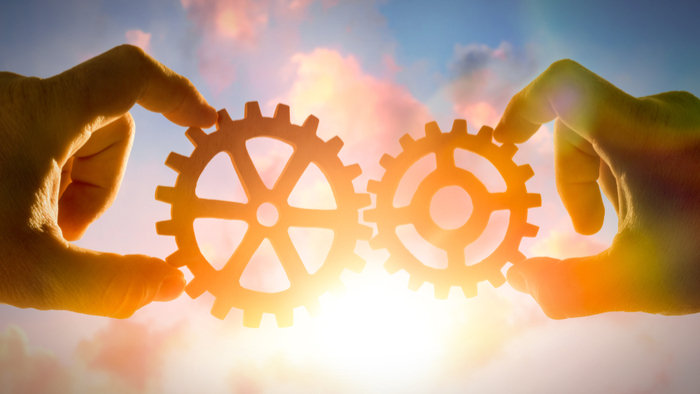 • Gaining the trust of government isn't easy, but this article gives some sound advice on how to work toward better collaborations, which includes working backwards from initial goals. • Here's more about the complex problems that government can’t solve by itself. Nonprofits involved in areas that address basic needs like education or health often expect that if a project or intervention is successful, the government will ultimately adopt and manage it for the longer haul. For a project to reach its potential scale and sustain impact over time, many view this as the most realistic end game. Conventional wisdom holds that governments want fully formed, tested versions of programs or interventions so that it can easily scale up social entrepreneurship. If you are looking for opportunities to take action and give money to Collective Impact, here are some Giving Funds, Charitable Organizations and Projects aggregated by Giving Compass where you can take immediate action. What are Characteristics of Effective Leaders?